What is it like trekking into Everest Base Camp. On day 9 or day 10 of our Everest base camp trek you make the journey from Lobuche to Gorak Shep and then continue into Everest base camp. Check out our daily distances and the time it takes to make this journey to base camp. As you can see in this video the terrain is uneven, up and down on rocky terrain and you need to be trained and prepared for that. Read more about our training advice for the Everest Base Camp trek. I hope this footage helps you understand the rocky terrain you will need to cover on route to Everest base camp. 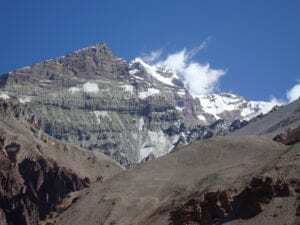 You will have to walk for 7 or 8 hours on this days trek in and out of Everest base camp so you need to be building your endurance training to be able to cope with this terrain and lack of oxgyen. Read some reviews. It is important to remember that this is a long day trekking into base camp followed by a 4am start to climb Kala Phattar the following day and another 3 long days trekking back to Lukla airport for your return flight. You need to come fully prepared for this challenging trek and climb for the amazing view of Everest from Kala Phatar. Although you will be dropping in altitude and moving back into the richer levels of oxygen you still have to walk up and down hills for over 13 miles / 20km each day on your return to Lukla where your journey began. Read more about having the best acclimatization for this trek. Read our top 10 tips for trekking to Everest base camp up and down. Read more about our training advice for an Everest base camp trek. 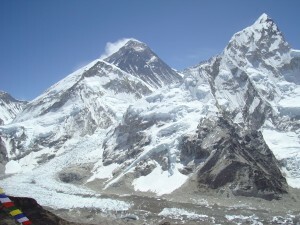 If you are committed to training 5 days per week in your preparation for the trek to Everest you should be ready to go. You need to be comfortable hiking up and down hills with a back pack being ready to walk 5 to 8 hours per day. So training with a weighted back pack, getting the hours of strength, conditioning and endurance into your legs is critical for safety, success and enjoyment. Day 9: Trekking into Everest Base Camp is challenging but so rewarding you get to stand at the base of the world’s highest mountain and stand in awe of Everest in the truly inspiring place. The next day holds an even bigger challenge and more impressive view of Everest from the summit of Kala Phattar at 5,632m/ 18,477 feet.